Parma continue to impress in the 2018/2019 Serie A campaign. Even though many people expected that the newcomers would be a relegation struggler this term, they sit in ninth position in the standings ahead of Matchday 21. The Gialloblu did well to beat the likes of Fiorentina and Udinese in previous two away games in the national championship and, as a result, they sit in the top half of the table. Parma aim to give fans yet another reason for celebration and seeing that SPAL do not seem to be on top of their game at the moment, home win should be considered. Leonardo Semplici’s men failed to score in three of their last five league fixtures and we are positive that they are going to return home empty-handed from the trip to Parma. A man to watch in the home team will be former Premier League star Gervinho, who found the net in the 2-1 win over Udinese. Gervais Lombe Yao Kouassi, or Gervinho, is an Ivorian football player born in Anyama, near Abidjan. He started his professional career in the youth team of ASEC Mimosas, where he gained the nickname Gervinho, thanks to the Brazilian coach of the team. After that, the left winger joined Toumodi, a club from the Ivorian Deuxieme Division Zone Four, where he played with Toure brothers for a while. His first European engagement was at KSK Beveren and after two years, the Ivorian international joined Le Mans. During his spell in MUC 72, Gervinho attracted the attention of many large clubs, but he decided to join LOSC Lille and two years after he received a call from Arsene Wenger, which resulted with him moving to North London. His stay with the Gunners was not as expected, so the player decided to join Roma. During the players’ exodus to China, Gervinho joined Hebei China Fortune in a deal worth €10 Million, but he did not satisfy the demands of the Chinese club, so he went back to Italy, where he plays for Parma. The left winger, who can also play as a right winger, attacking midfielder and shadow striker, recorded 84 appearances for Ivory Coast, netting 22 goals in the process. SPAL impressed in the 2016/2017 Serie B campaign, with the team finishing the season in top position in the standings, four points clear of second-placed Hellas Verona. The Biancazzurri returned to the Italian elite division following a 49-year absence and it has to be noted that they finished the 2016/2017 Serie A campaign in 14th place in the table. As a result, they were relegated to the Italian second tier at the end of the season. The club was founded in 1907 as Circolo Ars et Labor and six years later was renamed as Societa Polisportiva Ars et Labor. 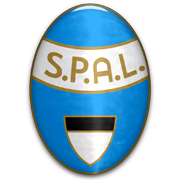 After a bankruptcy the club was re-founded in 2005 and they have been competing as SPAl 1907 ever since. SPAL welcome their rivals at Stadio Paolo Mazza, the venue which was opened in 1928. You should know that the capacity of the stadium is 12.438 Rovigo are regarded as Spal’s fiercest rivals and the two teams face each other in the Derby of Polesine.